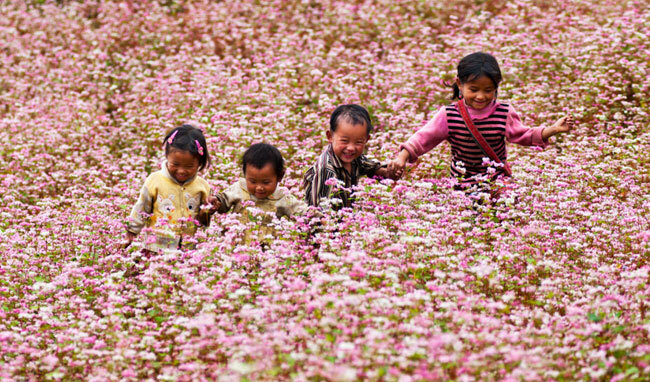 Tam Giac Mach flowers in Ha Giang Province. HA GIANG (VNS) — The first Tam Giac Mach Flower Festival will be organised in the northwest province of Ha Giang from November 13-15. The festival will be held in districts Dong Van, Quan Ba, Yen Minh and Meo Vac. Its aim is to promote the special cultural feature of the Dong Van Highlands. The festival will include many activities about the history and origin of the Tam Giac Mach flower, the symbol of Ha Giang and the Dong Van Highlands. Other events include a wine festival and photo exhibition.